Free Shipping Within the United States on Orders over $50.00!! If you're a plus size woman then you know the truth: plus size women absolutely do work out, and you want to look your best every time you exercise. A Big Attitude is your companion in action, no matter what you’re doing or where you’re going we have the activewear fashions for you. Our line of plus size activewear is made specifically for you, our plus size customer, to suit your special needs whenever or wherever you're working out or if you are just on the go. The days of being a plus size wallflower in sweats is over. A Big Attitude has proven that. For the past 16 years, you've purchased our plus size sportswear through such reputable national stores including Lane Bryant and Catherines. Now you can buy directly from us. Even more notably, over the past 10 years you've seen our activewear worn by contestants on the hit television show, The Biggest Loser. Now you can be just like the contestants that enjoy wearing our attractive activewear because it fits their frame so well. A Big Attitude takes the fashion challenge out of plus size activewear. Order Your Plus Size Activewear Today! The right plus size activewear can be transformational. When you're wearing flattering plus size sportswear by A Big Attitude, you'll approach your next workout, run your next errand, or take your next trip to yoga class, looking good and feeling confident. You've told us you love our fit, comfort, quality, style, and service. And you'll really love that they are proudly made right here in Los Angeles, California, U.S.A. See our testimonials page for our outstanding reviews! 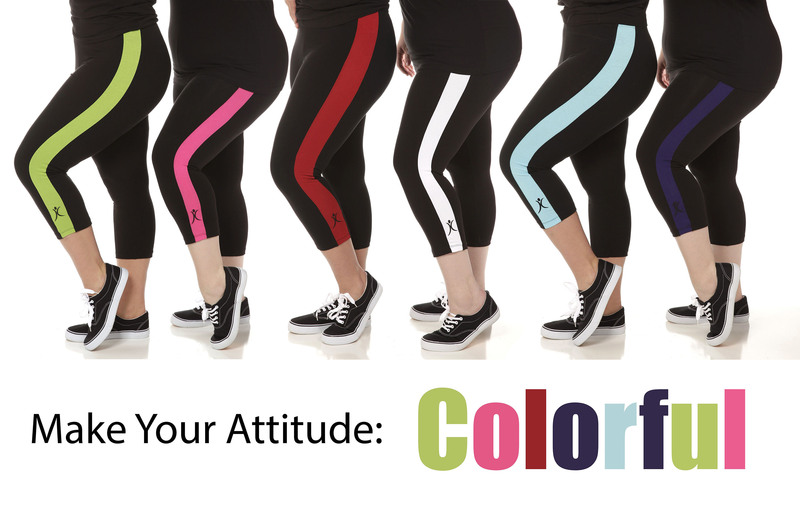 Thank you for making A Big Attitude your Plus Size Activewear partner (877) 858 - 8820.